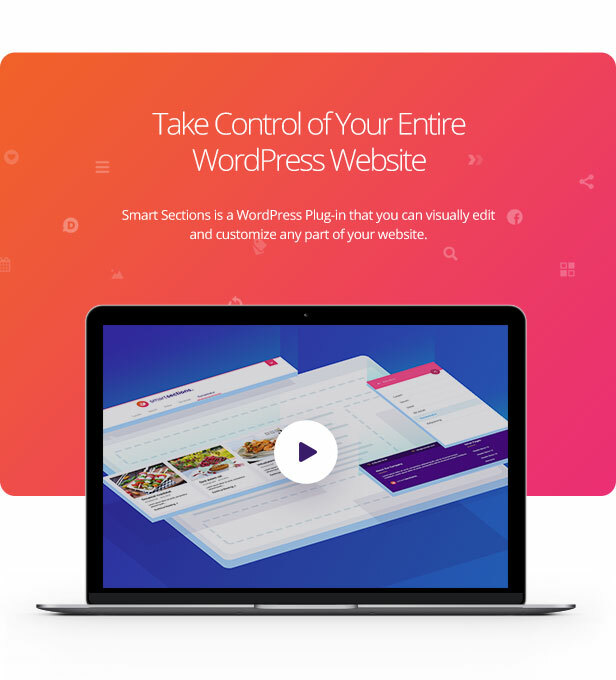 Smart Sections is a WordPress Plug-in that you can visually edit and customize any part of your website with WPBakery Page Builder a.k.a. Visual Composer. You can create new horizontal or vertical headers for your website and replace it with your default theme header. You can also create footers, sidebars, mega menus, sticky items, mobile menus and layouts for content pages. You can even create listing card design templates for post grids or your archive pages. Note:WPBakery page builder is not bundled inside this plug-in. Make sure that you have copy of an unmodified version of WPBakery Page Builder or bundled with your theme inside of it. Thanks to Smart Sections, you can design any section of your website with WPBakery Page Builder a.k.a. Visual Composer. You can create a new header for your website horizontally or vertically and replace it with your default theme header. You can also create footers, sidebars, mega menus, sticky items, mobile menus and layout for content pages. You can even create listing card designs for your archive pages. Create Post Listing Card Design Templates with Smart Sections and Add to Any Page with a VC Element Shortcode! You can even create listing card designs for your archive pages with Smart Sections’ dynamic post short codes. We have created special VC element shortcodes so you can design your post listing cards freely and visually with the Visual Composer interface. With the ‘Post Listing’ shortcode, you can create masonry post listings with a load more button or infinite scroll with an advanced data options. You can assign any section to any page! 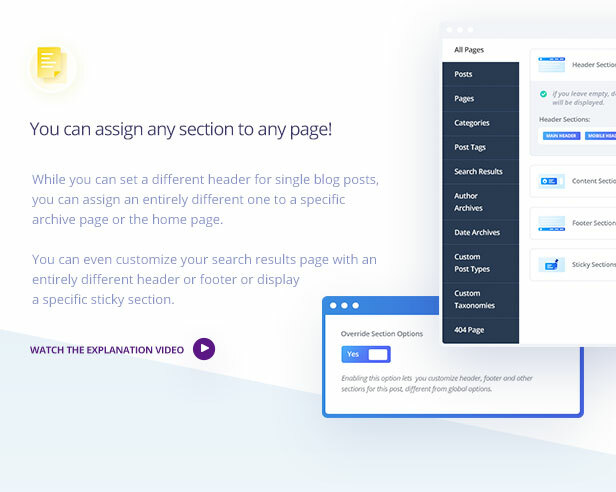 While you can set a different header for single blog posts, you can assign an entirely different one to a specific archive page or the home page. You can even customize your search results page with an entirely different header or footer or display a specific sticky section. You can easily make any section sticky! 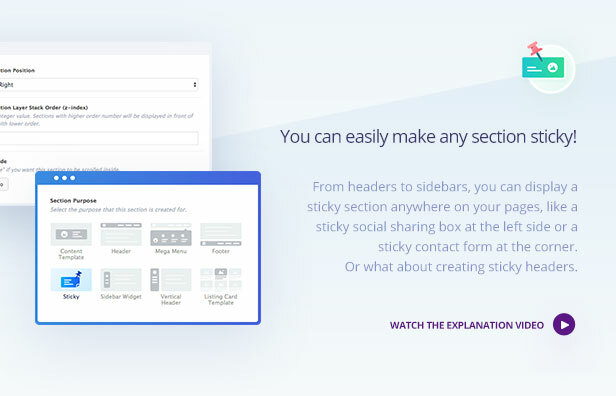 From headers to sidebars, you can display a sticky section anywhere on your pages, like a sticky social sharing box at the left side or a sticky contact form at the corner. Or what about creating sticky headers. Different triggering options to display a section. 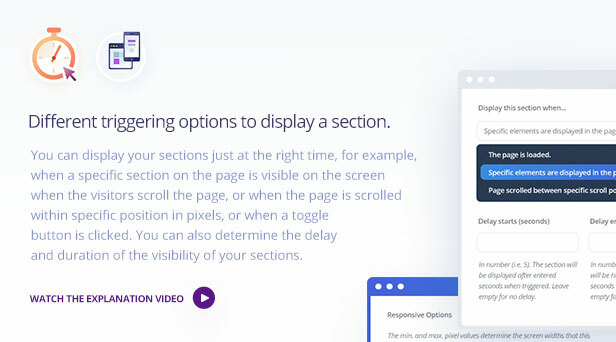 You can display your sections just at the right time, for example, when a specific section on the page is visible on the screen when the visitors scroll the page, or when the page is scrolled within specific position in pixels, or when a toggle button is clicked. You can also determine the delay and duration of the visibility of your sections. Display different sections at different screen sizes. Smart Sections can be created fully responsive for any screen size. You can determine specific pixel sizes of the screen to display your different sections. For example, you can display a different header on desktop screens, another one in tablet and an entirely different header in mobile screens. 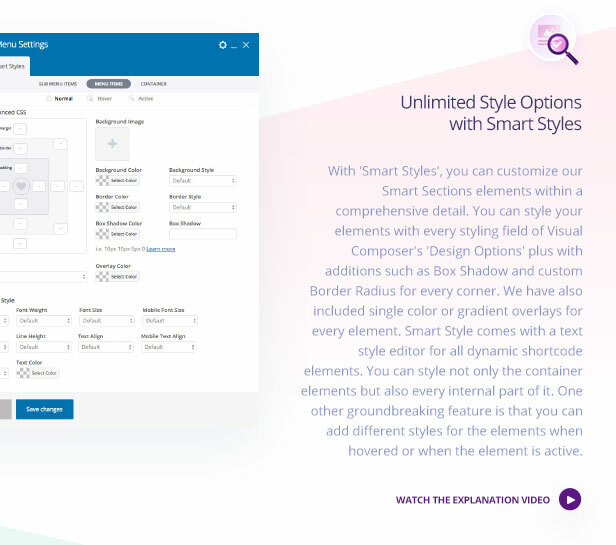 With ‘Smart Styles’, you can customize our Smart Sections elements within a comprehensive detail. 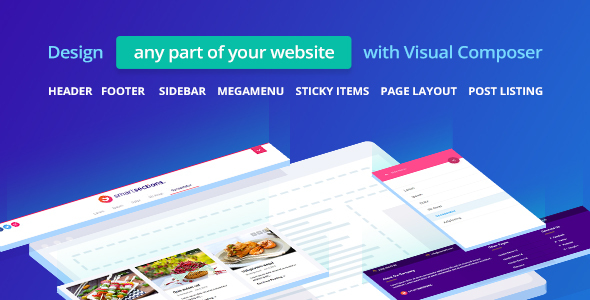 You can style your elements with every styling field of Visual Composer’s ‘Design Options’ plus with additions such as Box Shadow and custom Border Radius for every corner. We have also included single color or gradient overlays for every element. Smart Style comes with a text style editor for all dynamic shortcode elements. You can style not only the container elements but also every internal part of it. One other groundbreaking feature is that you can add different styles for the elements when hovered or when the element is active. We have created over a hundred different Smart Section demos for you to import with a few clicks and start using right away or customize according to your requirements. Click on the button below to see the awesome things you can do with the Smart Sections WordPress Plug-in. # Fixed: Mega Menu not working on themes with custom menus. # Fixed navigation menu css bug where the child items were not being displayed properly. # Fixed the issue when the margin between paragraphs were lost (wpautop). # Fixed Several structural CSS issues in Smart Sections elements. # Fixed issue where the header was removed right after activaton in "The 7 Theme"
# Fixed Fatal Error: Call to undefined function vc_pixel_icon()... This error occurs in the older versions of WPBakery Page Builder (formerly Visual Composer) where it does not support Pixel Icons. Note: Images are used only for display purpose. They are not included in the plug-in.